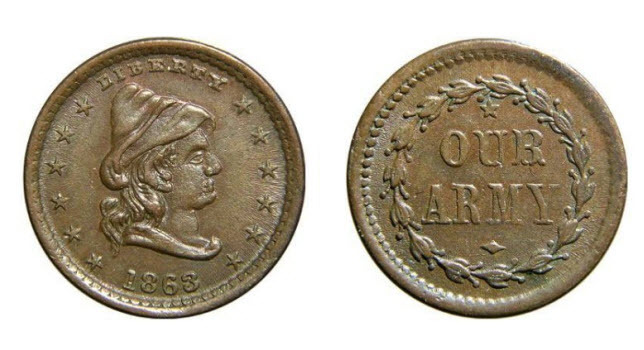 One of the most significant casualties of the Civil War was pocket change. That’s right, pocket change. When it became clear that our nation was in for a long and bloody conflict, government-issued coinage began to disappear. The culprit you ask? Was it dire warnings from William Devane about the impending financial apocalypse? No, but close. Frightened citizens of the war-torn nation began gobbling-up and hoarding coins for their gold and silver content–even copper-nickel cents became scarce. The growing shortage of coinage presented major issues for merchants. Without small change, it became exceedingly difficult for them to conduct business. So what was the answer to the problem? Well of course… they just minted their own currency! Merchants quickly turned to private die-sinkers to mint tokens (called Store Cards) that could be purchased (typically for 1 cent) by a customer; and in turn, be used to buy goods. In case you’re wondering, a die-sinker is a fancy word for a person who engraves dies used to stamp designs on coins or medals. A merchant would typically pay a die-sinker to design and mint their tokens. 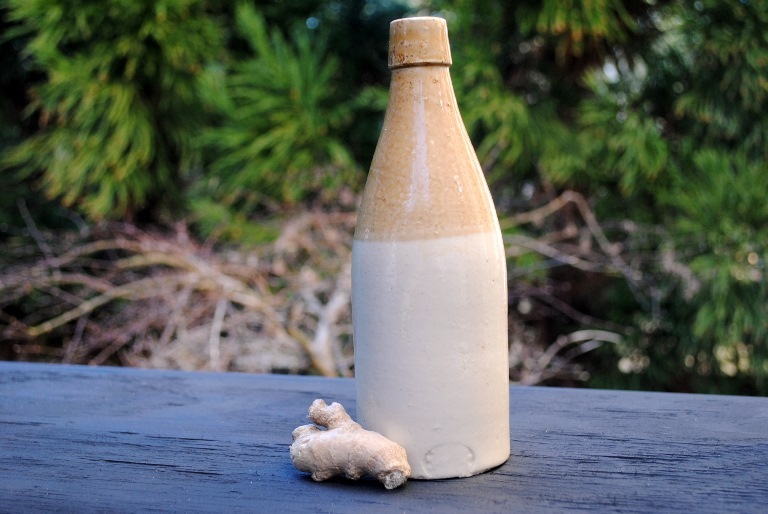 One or both sides of the token would promote the merchant’s business. To cut costs, some merchants would incorporate exiting dies (oftentimes a patriotic motif) on one side and then pay to have the other side designed with their advertisement. 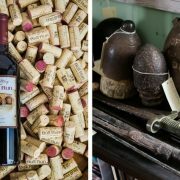 Tokens were not just limited to merchant advertising. To promote popular war time sentiments, political figures, and to show support for the war effort, a new type of coinage was created: Patriotic Tokens. The vast majority of Patriotic Tokens were designed and minted in the north, with obvious pro-Union sentiments. Common examples of slogans found on pro-Union tokens are “Union For Ever,” “The Union Must and Shall Be Preserved,” “God Protect the Union” and “Old Glory”. The flag of the United States was often incorporated into Patriotic Tokens – because let’s face it, nothing screams patriotism like the good ole’ ‘Merica Flag! One of the most famous Patriotic Tokens is referred to as the “Dix” token, featuring the famous (and slightly altered) quote of John A. Dix. 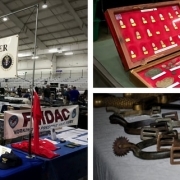 Similar to a merchant selling goods and services to the general public, a Sutler is a civilian merchant who sells provisions to an army – wherever that army may be. 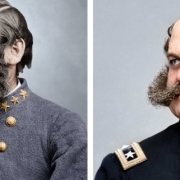 During the Civil War, Sutlers were usually attached to a regiment, selling soldiers merchandise such as tobacco, coffee, booze, and other wares. 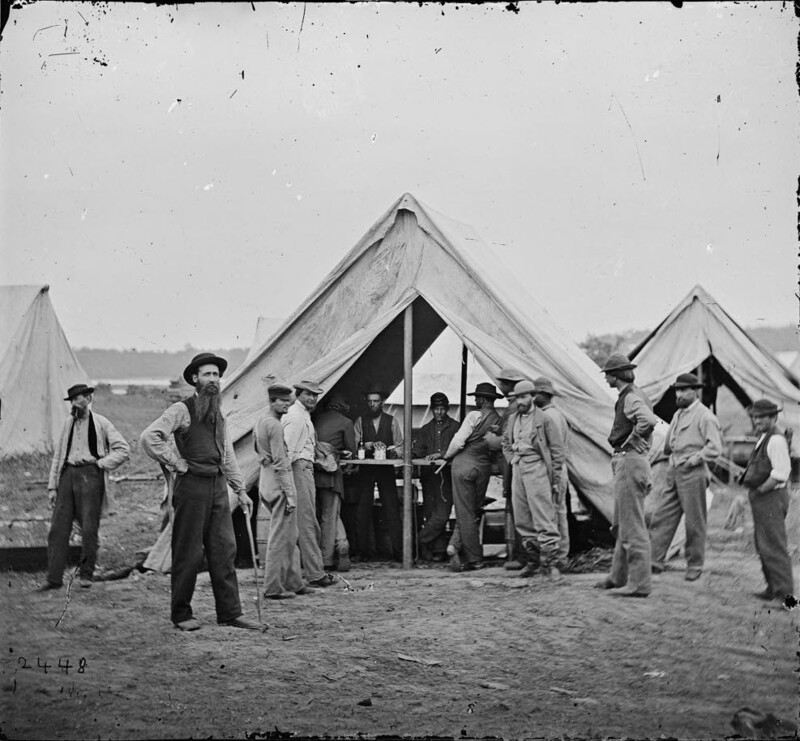 Sutler’s tent at the Siege of Petersburg, VA.
Like other merchants, Sutlers faced the same shortage of government-issued coinage, so they also minted their own currency. A subset of Store Cards, Sutler Tokens are much rarer than other period tokens. 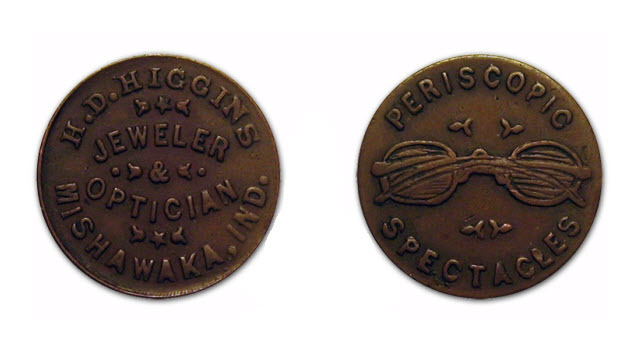 Some of the more unique and intriguing Sutler Tokens bear the name of the regiment they were attached to, as well as the name of the Sutler. 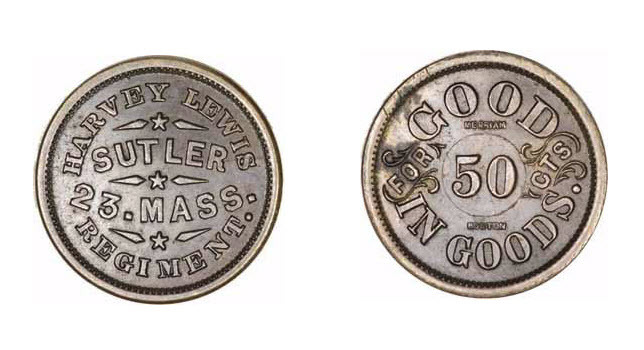 Harvey Lewis, Sutler Token issued for the 23rd Massachusetts Regiment. 50 Cent Civil War Sutler Token issued by J.M. Kerr for the Simmonds Battery. The better die-sinkers minted tokens that were eerily similar to period coins. Such an approach encouraged (or duped) the public into using tokens as everyday currency. In fact, privately minted tokens quickly became de facto legal currency across the nation. To circumvent counterfeiting laws, many tokens would be stamped with the word “Not” or simply “Not One Cent”. Chump change huh? Well, not really. According to the authors of “U.S. Civil War Store Cards”, it’s estimated that by 1864, there were 25,000,000 Civil War tokens (nearly all redeemable for one cent) in circulation, consisting of approximately 7,000–8,000 varieties. The business of minting tokens was also quite a racket. As a predecessor to the Lincoln Cent, most tokens were made of pure copper. This meant that their actual value was only two-tenths of a cent at the time. The die-sinker sold them to a merchant for nine-tenths of a cent. From there, the merchant would sell the tokens to their patrons for one cent. Due to the growing popularity of tokens, and the businesses being built around their production, the United States Government intervened. 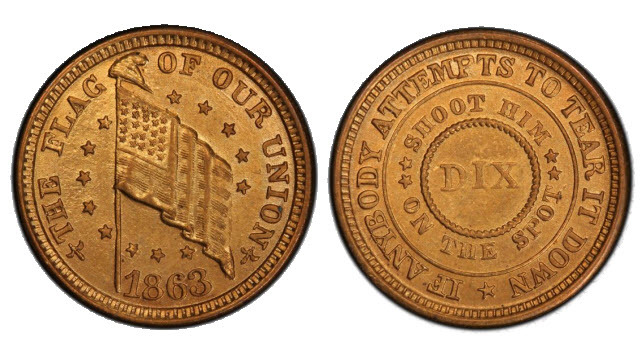 On April 22, 1864, the Coinage Act of 1864 was enacted by Congress, essentially ending the usage of Civil War Tokens. The act also introduced the phrase “In God We Trust” that was inscribed on the new two-cent piece. To further dissuade the production of tokens, Congress later enacted a bill that made the minting and usage of non-government issued coins punishable by a fine, prison term, or both. Like most things the Government says we can’t have, we want. 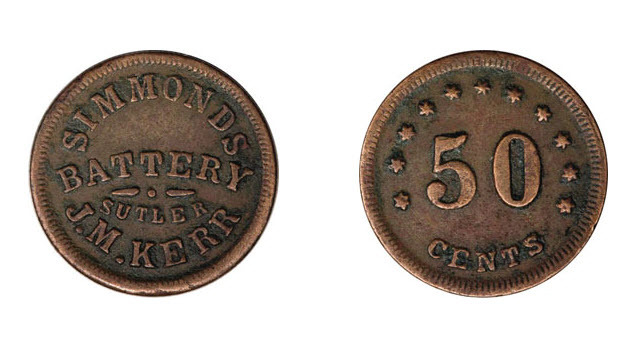 Starting around the same time they were banned, Civil War Tokens quickly became hot collectibles. Still widely available today; and for the most part affordable, tokens remain a popular type of coin to collect. 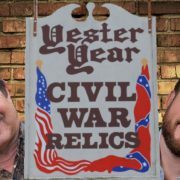 Do you have any Civil War Tokens in your collection? If so, share them with us on Facebook or Twitter.